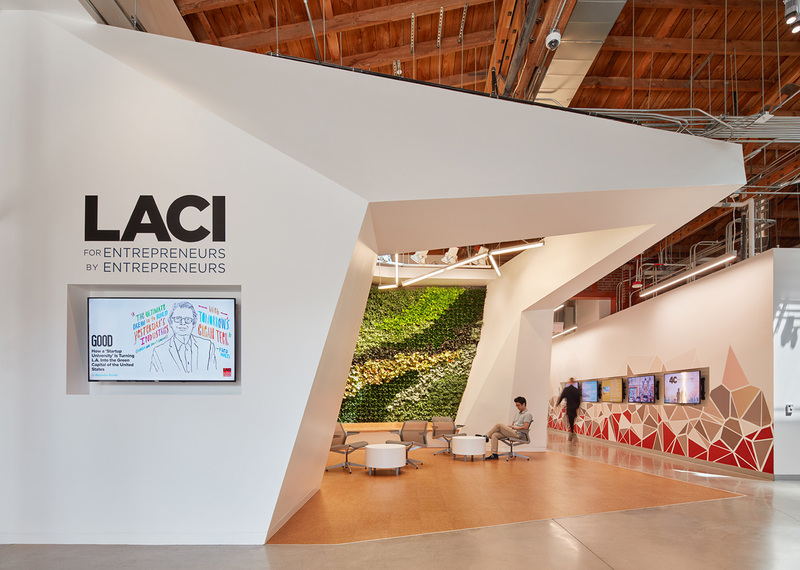 This vital new work and research campus designed by John Friedman Alice Kimm Architects (JFAK) has quickly become a dynamic hub where government, business entrepreneurs, and community come together to forge creative new partnerships. The goal: to foster innovations that advance LA’s green economies within the framework of an unusual public-private coalition. The campus includes a transformed 61,000 SF warehouse in the vibrant Arts District. Offices, conference rooms, labs, prototyping workshops, and event space, in addition to facilities serving one of the City’s major public utility companies, exist alongside PV-shaded parking, greywater filtration, and a microgrid system. Engaging The Landscape With Organic Forms, JFAK Architects Creates New Model For Housing In Chengdu, China. In a country known for massive housing blocks and residential environments that, as in many other cultures, rely on traditional architectural styles to attract the newly prosperous, John Friedman Alice Kimm Architects (JFAK) has created something unique: a peaceful, human-scaled neighborhood of single family detached houses that are completely contemporary in form and materials. As part of a larger development called Luxe Lakes, the architects and their clients took the calculated risk to reject Western-based traditional architecture in favor of an aesthetic and design solution that would combine China’s longstanding respect for Nature with their own particular embrace of an aspirational future. The end result is a new prototype for middle to upper class single family dwellings in China and beyond. 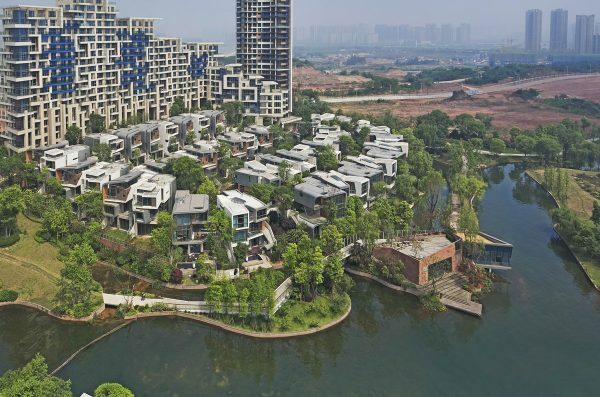 Working within a constructed landscape in Chengdu’s rapidly growing “suburbs” designed by two Los Angeles-based landscape designers, Fei Huang of Famous Gardens and Pamela Burton, JFAK created something unexpected. “We wanted to offer a new kind of experience,” says John Friedman, “something more organic and based in natural forms, even anthropomorphic at times.” The guiding concept was to create spaces that flow into one another with continuous forms that enclose and engage as well as open up to the outside. “Without trying to mimic the actual environments seen in traditional landscape painting, we aspired to create the same kind of floating, dreamlike quality that is expressed in those paintings,” says Friedman.